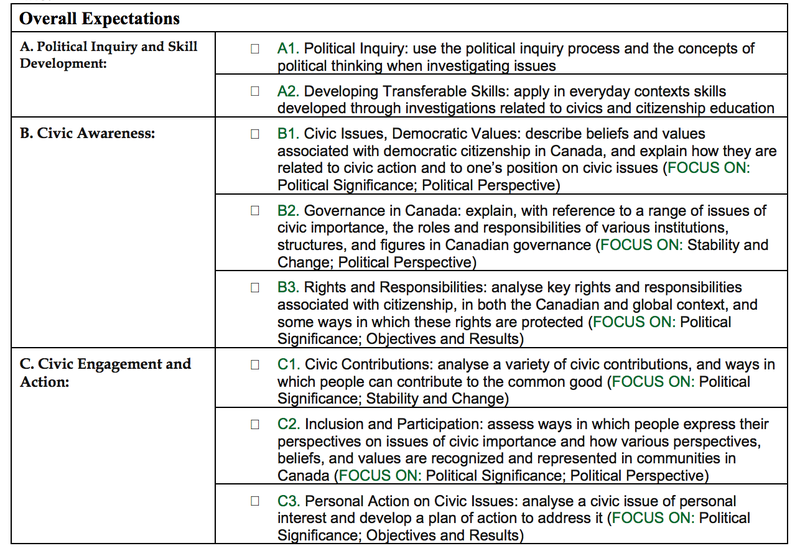 Civics is the study of how people use politics, laws, words and actions to govern themselves. This unit teaches the levels of the government, Who's Who in Government; The Changing face of Political Parties; and The Way Political Parties Work. In this final unit, we'll consider some of Canada's responses to challenges and changes around the globe. We'll evaluate Canada's participation in a number of international organizations. Finally, we'll analyse what it means to be a global citizen in today's world.